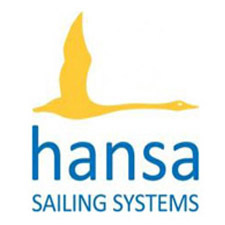 The 2016 Para World Sailing Championships in Medemblik during the Delta Lloyd Regatta came to a thrilling conclusion on Saturday in near summer conditions with a building breeze though the day and a warm northerly providing challenging racing across the three fleets. In the 14 boat SKUD18 fleet, Monika Gibes/Piotr Cichocki (POL) have led from the day 1 and dominated a very competitive fleet all week. Taking a 12 point lead into the final day they only needed one good race to secure the title and that came early on with a fourth place in race 9 to win the world title with a race to spare. Alexandra Rickham/Nikki Birrell (GBR) won silver and defending champions, Daniel Fitzgibbon/Liesl Tesch (AUS), won bronze. With Fitzgibbon/Tesch winning and Rickham/Birrell in second, and separated by only one point, it looked like going right down to the wire. However, after the race the Australians were protested and disqualified in race 9. This meant a medal for the Australians was down to the final race and the British has already secured silver, but no one knew this at the time. In the final race the Australians made the best start to lead round the top mark with the British second and the Poles in third. After a tough and close race, the positions didn’t change with Fitzgibbon/Tesch taking the race win to secure the bronze. Final results are available via this link. 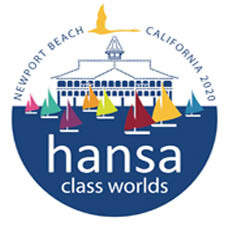 Next One week to go until the 2016 Hansa Worlds!